It's been a little while since my last wedding update, hasn't it? 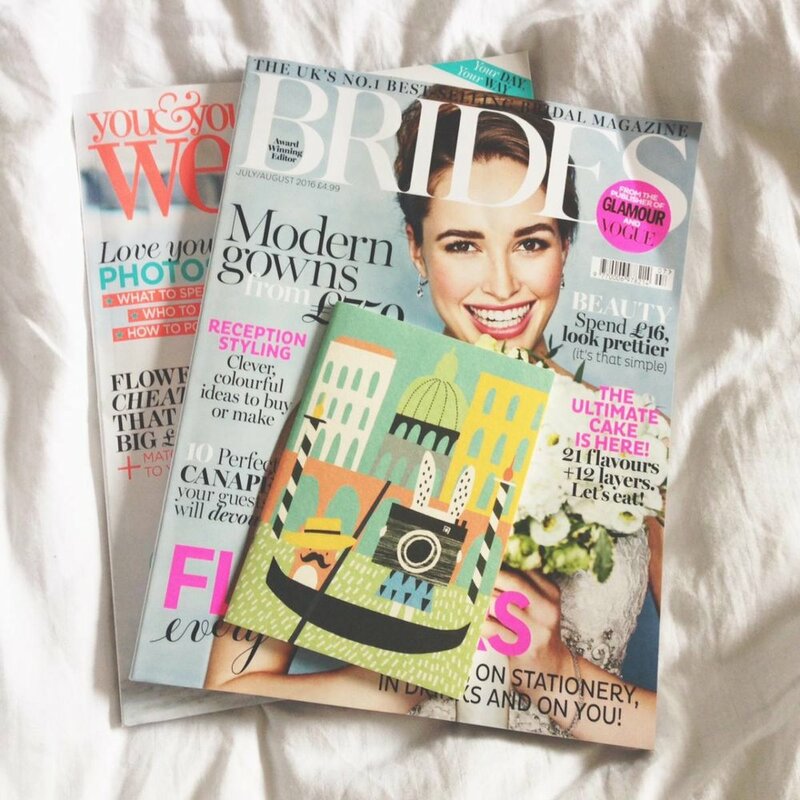 In all honesty it feels like things have been a bit quiet on the wedding planning front, but when I sat down to start writing this I realised that we've actually done quite a bit since we last caught up! For starters, we now have our marquee all booked! We saw it all set up last time we visited our venue and it looked gorgeous set up on the lawn, surrounded by all of the pretty gardens. I'm hoping it will be a nice day so that we can roll the sides up and really make the most of the idyllic location. We still need to finesse some of the finer details, like confirming flooring options and the location of the bar (priorities! ), but I feel tonnes better knowing that we have another big thing booked and another deposit paid. We've also sorted our catering too, after much deliberation. We've managed to work in some of our favourite foods, like antipasti platters and fish and chips - it's safe to say that we aren't going down a traditional route! We're also going to be having a dessert table which I am so excited about - we have a lot of epic bakers amongst our family and friends who we'll be roping in to help us and I already can't wait to indulge! Plus my Dad is going to be making our wedding cake - he had a little practice and I was SO impressed. How clever is he?! We'll be having a bigger version on the day, but if it looks as good as this I'll be a very happy bride. Now that I have my dress sorted, the fashion focus has been turned to the bridesmaids. We're thinking about having separates instead of dresses so that we can find something to suit everyone, and our current thinking is tulle skirts and cami tops. I reckon I'm going to be mega jealous of their tulle and might even have to buy one for myself to wear at a later date! We've got a bridesmaids get together planned for later in the year (advance planning is necessary when your best gals are all dotted far and wide!) and I can't wait to lock in their outfits and generally get excited with them all. Now that we have all of the big stuff ticked off, we've been turning our attention to the more fun bits like flowers and decor and personal touches. I bought some bits and pieces like Kilner jars and garden games from a friend of my colleague who recently got married, and it made me really exciting to start thinking about the little things that will add some personality to our day. Plus she sold them to me for an absolutely bargain price which made me feel pretty smug - mostly because the price of everything else has made my eyes water! Weddings really are as expensive as people say. We're pretty busy over the next couple of months so other than saving and gathering ideas, I don't think we'll be doing too much wedding wise. But I'm already excited to get stuck into DIYs and ring shopping and invite planning once autumn rolls around! Expect more in the way of wedding related content then. As always, please please please let me know if you see any fun ideas or know of any quirky wedding blogs!